Tom Ford won't be putting on shows during [Fashion Week] as it's too close to the Academy Awards. The famed designer has recently returned to directing, helming the critically acclaimed Nocturnal Animals. 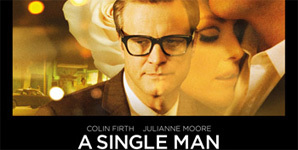 The film comes seven years after his only other movie, A Single Man. Nocturnal Animals actor Aaron Taylor-Johnson picked up the best supporting actor Golden Globe at Sunday night's (08Jan17) ceremony, and the movie is widely tipped for Oscars glory too. Accordingly, Ford isn't going to put on a show in February as it will be too close to the Academy Awards. "I don't want to throw fashion into it," he explained to Page Six. "I am in movie mode." Nocturnal Animals, also starring Amy Adams, Jake Gyllenhaal and Isla Fisher, was nominated for a total of three Golden Globes, including Best Director and Best Screenplay for Ford. In the press room after his win, Taylor-Johnson, who was suitably dressed in a Tom Ford tuxedo, explained how the designer-turned-director took his role very seriously and even gave him a grooming session when he turned up on set. "Tom offered me the job in summertime, about three months prior to making the movie, and he just said, 'Grow your hair out, grow your beard, and grow your fingernails out,' so that I had enough to play with. And then that's what he did: He got the razors out and he personally gave me mutton chops," he shared. Tom, 55, also took time to address his comments about dressing future First Lady of the United States, Melania Trump. "Given this President's beliefs about 'made in America' - I think the clothes they wear should be made in America," he told Elle.com. "I think that whoever is the President, or the First Lady, should be wearing clothes at a price point that are accessible to most Americans, and wearing clothes made in America. My clothes are made in Italy, they're very, very expensive."